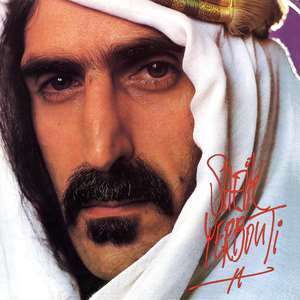 Frank Zappa - Sheik Yerbouti 12"
17th album. Gatefold w/tracks, credits, pic mixing board. Red custom sleeves w/lyrics. Gatefold (glossy) w/custom (lyric) sleeves. PRC pressing / PRC Recording Company, Richmond, IN. © 1979 Frank Zappa, all rights reserved. Sheik Yerbouti remains Zappa's biggest selling album w/over 2 million units sold to date. Album is mostly made up of live material recorded in 1977 and 1978.